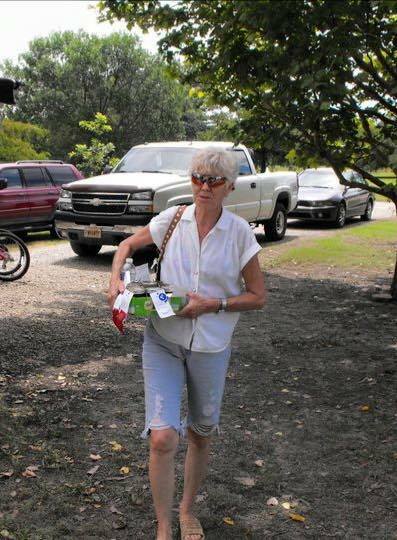 We lost one of our WWA members Friday to cancer. Barbara Britton whose husband was Wayne until his passing a few years ago, lost her battle. 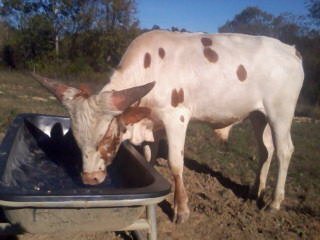 She fought long and hard and kept her Watusi until the end. Others helped her feed and such, but she always said she wouldn’t part with them until she died. It was important to her, not only because she enjoyed them so much, but also because they had meant so much to her dear husband, Wayne. She promised him she would keep them in his honor and she kept her promises. 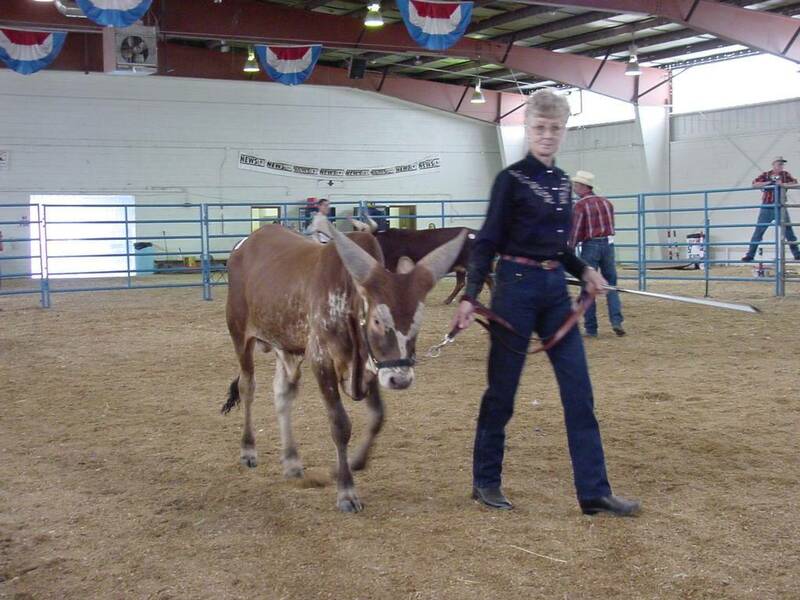 Barb was a very dedicated and extremely hard working lady who even kept showing her Watusi at the shows when she had to do it all herself and then after Wayne passed. The last few years she had to stop traveling as her cancer was making it an impossibility for her, even with help from others and her family. She promoted the breed all through the years with dignity and conviction and we will miss her. A fond farewell. 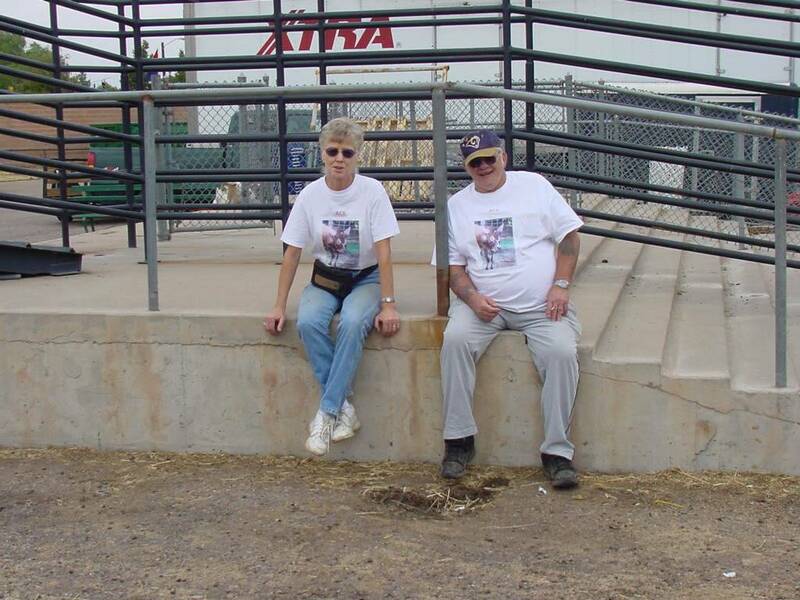 Barbara and Wayne Britton showing off their bull and their shirts. 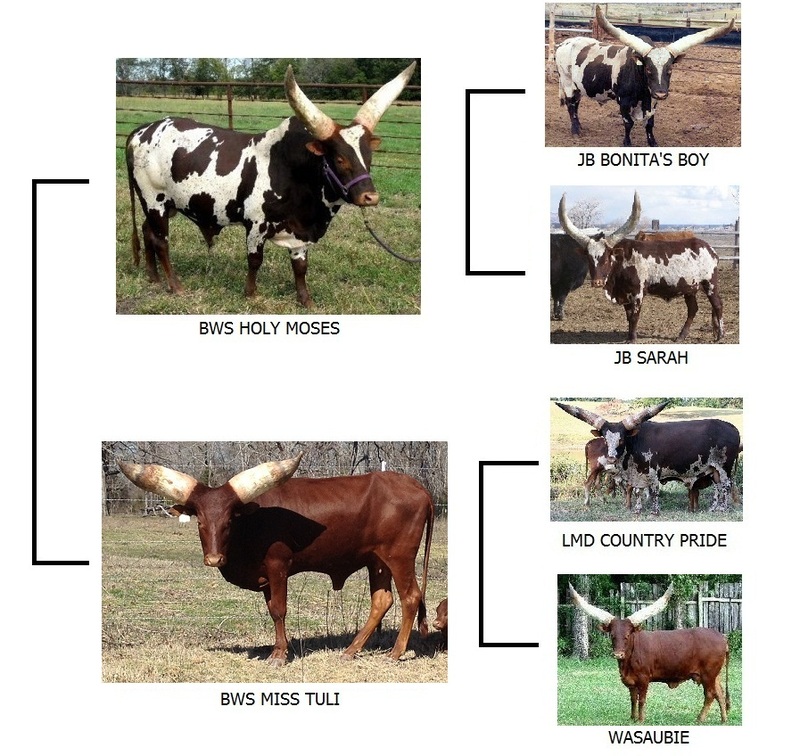 Watusi are bred in a wide range of colors and types. We seldom focus on the cross bred animals that many of our members and their customers have raised and continue to raise. 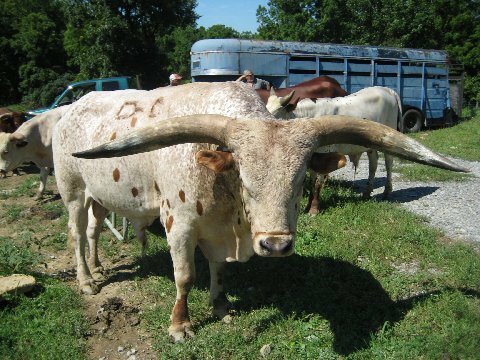 Per Bruce: “Joy (Rider) told me that you once owned this cow and I was wondering if she has twin births in her pedigree. She had RARE twins last year, live births two days apart which vets say they have never seen happen and she looks to be carrying twins again this year. It was very hard getting her to take the second calf last year since she had already bonded with the first one. She is out of Tashina II and by Teflon Kid, and is 13 years old. Joy says she comes from a rather silly acting family as she herself was when I got her but she is a big pussycat now since I spend a lot of time with my animals. 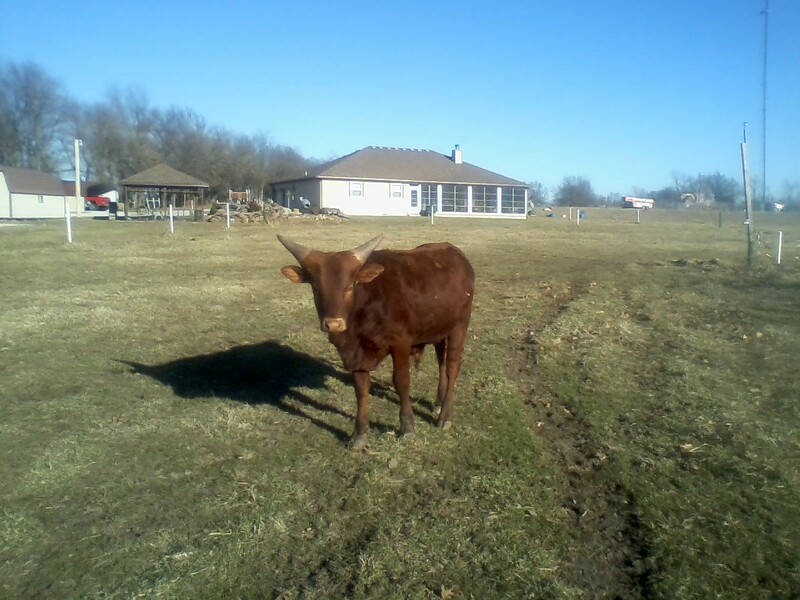 She has become a truly lovable cow and is a true pleasure to won, not to mention that she is a traffic stopper out here in rural Kentucky where most people have never seen a Watusi. 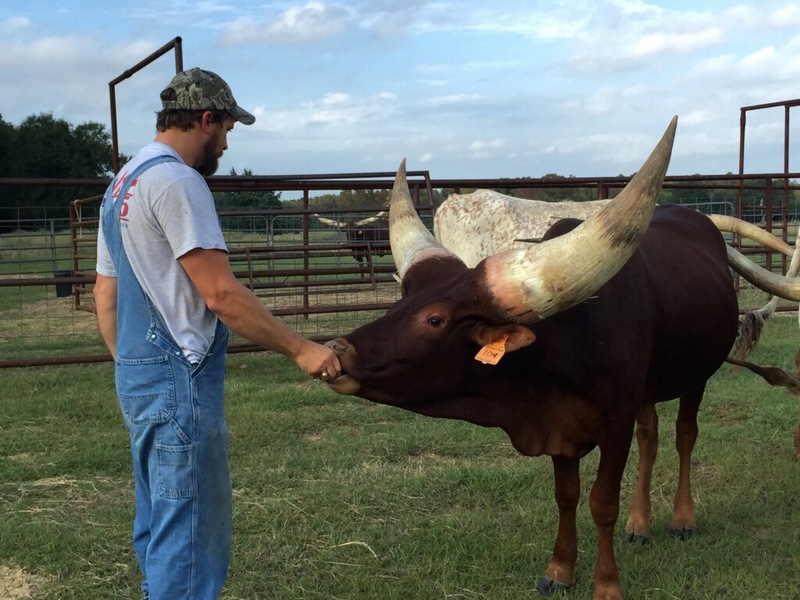 I breed to an incredible Longhorn x Watusi bull I bought from Darol Dickinson that is tipping the scales at about 3000 pounds as a coming 5 year old. He is a son of Pretoria. A beautiful purple roan. 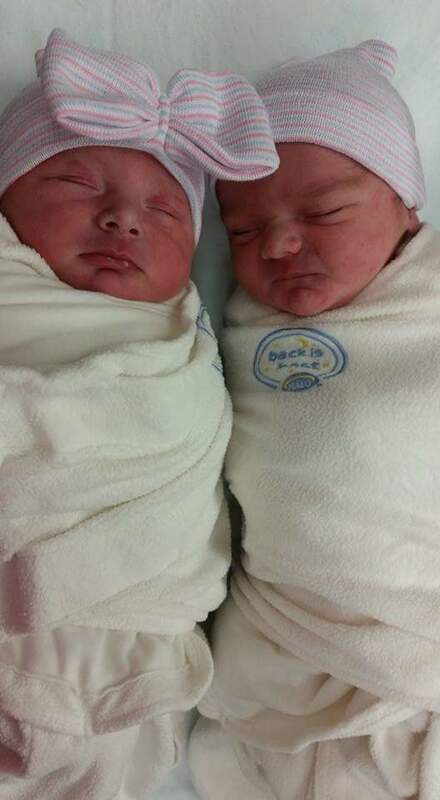 The twin bulls are knock outs. I should have had them steered when small to sell as exhibition steers. Any info you have is appreciated. 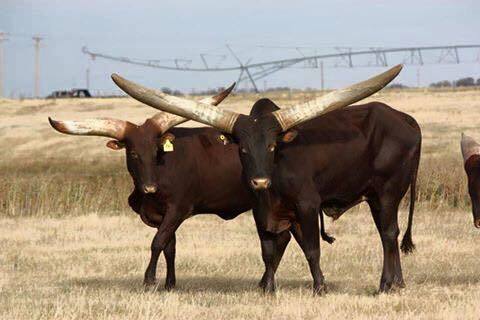 One twin has black horn and one has white horn, they are both going to have great horn. The picture of June Bug does not reflect her wide and deep body, she is a big powerful girl and an easy keeper. She is rolling fat now in spite of our cold winter here. Some Watusis get thin in winter. 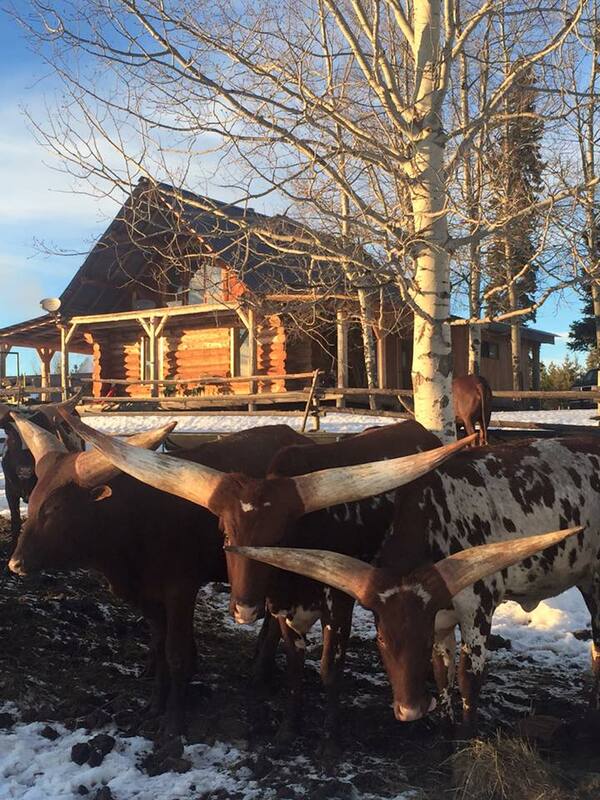 I love the lyre horns. 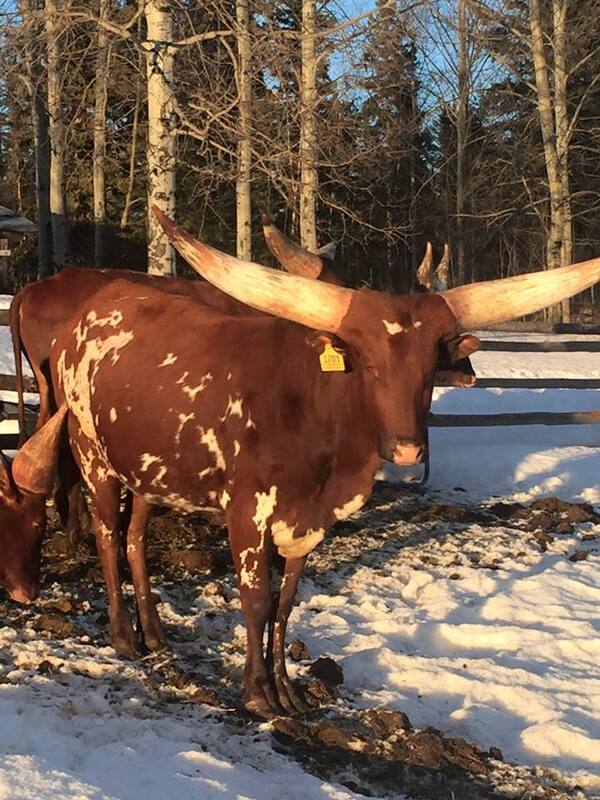 Have you ever seen a Longhorn x Watusi cross as beefy as Kenya? 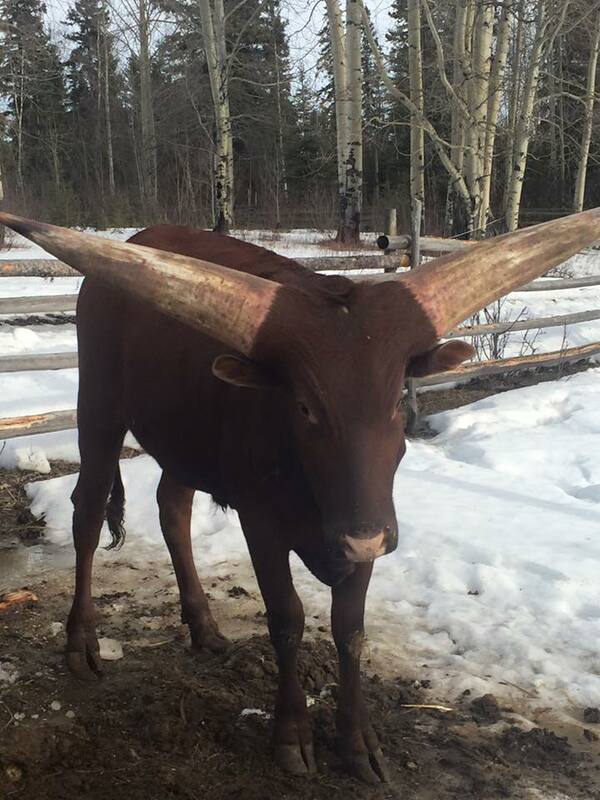 I have him sold as a herd bull but he has not been picked up yet. I will hate to see him go, he is a prince of a guy. Never has given a minute’s trouble and is dog gentle. 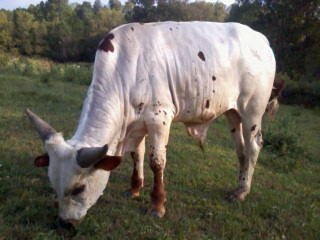 I will load in him the pasture without gates when they come to pick him up as I do all my animals. People who buy from me can’t believe that I can do that. 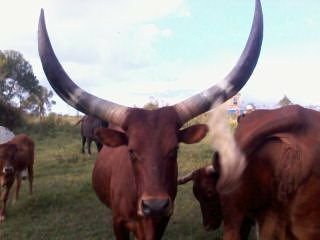 My bull’s sire is Pretoria who is FP. 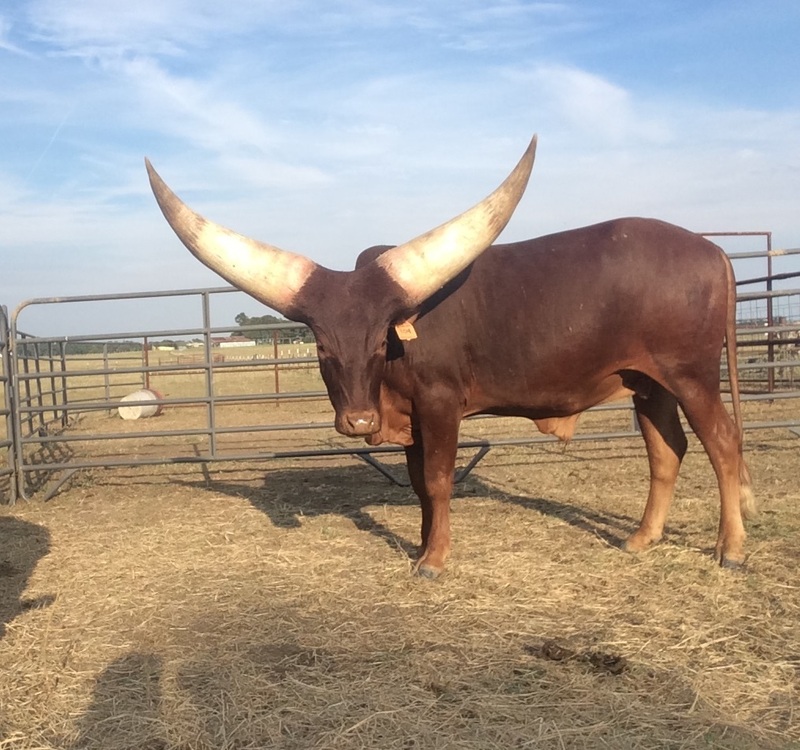 Also has bigger horns than his sire and still growing rapidly. He is taller than I am.